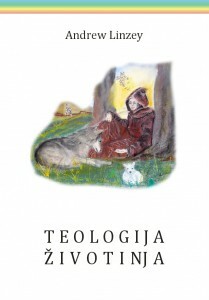 The Croatian edition of Professor Andrew Linzey’s book, Animal Theology is launched today, 4th October, 2013, which is also St Francis’ Day and World Day for Animals. The book is the first of its kind published in Croatia and is likely to arouse considerable discussion. The text was translated by Ana Bakasun and the theological editing was by Professor Zeljka Biscan, who has the distinction of having taught the first course in ‘Theological Rethinking of Zoology’ in the Faculty of Theology at the University of Zagreb. Professor Biscan has also written the Afterword to the book. “This book comes at a critical moment in the history of animal protection in Croatia [since the Animal Protection Act which came into force on 1st January, 2007]. Will the churches remain silent or will they use their voice (and their power) to speak on behalf of God’s other suffering creatures? Croatian people traditionally have a deep respect for their animals – after all, the very word ‘blago’ literally translated, means ‘wealth’ and ‘treasure’ in English. Surely the Croatian people deserve church authorities that will articulate their deepest sense of affinity with their fellow creatures. Whatever the future may hold, now is the time for thoughtful Christians to reflect on the plight of animals and our responsibility towards them. The book is published by ‘Edukacijski centar NOVA ARKA’, from Stubicke Toplice, and further information about the book can be obtained directly from Professor Biscan at zbiscan@inet.hr.